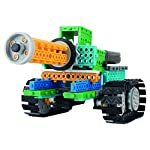 Buy this remote control toy building kit and unleash your child's creativity. Provides kids with confidence in their achievement. 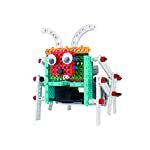 This robot kit for kids contains 237 construction pieces and a remote control. Comes with a bundle of fun! The building set included a user manual has easy to follow instructions with diagrams of how to make the 4 robots / machines. 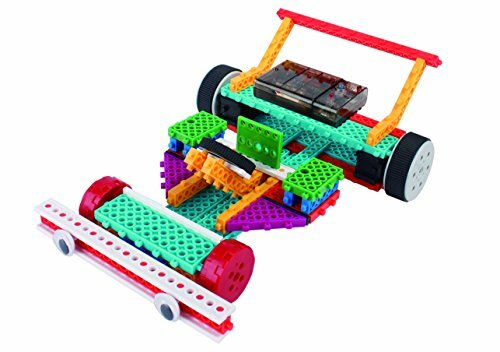 Kids love playing with this construction toy for hours on end (no soldering required). 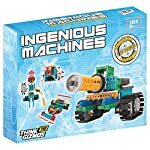 Each construction toy model takes from between 35 minutes to around 2 hours to build, so this will keep even the cleverest Children occupied and focussed. 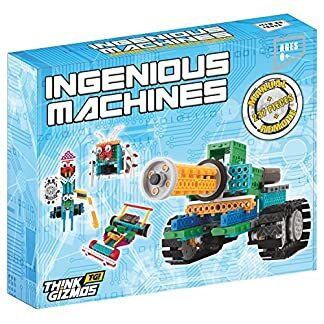 After gaining experience kids can then try to build their own machines. 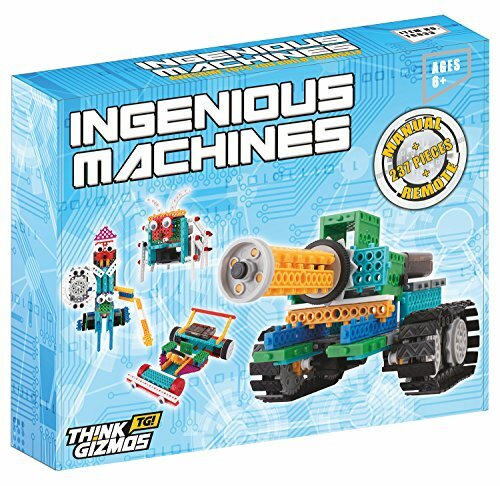 Robot kit for kids in our range (TG633). 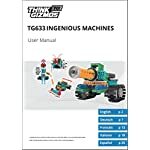 If you wish to have a more basic model please search Amazon for “Ingenious Machines TG632”. 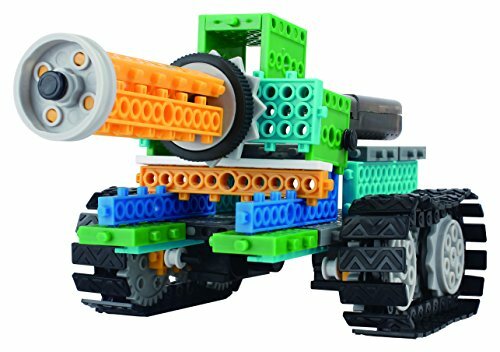 This awesome fun and educational construction kit contains Interlocking bricks, mechanical parts, wheels and a remote keep an eye on. 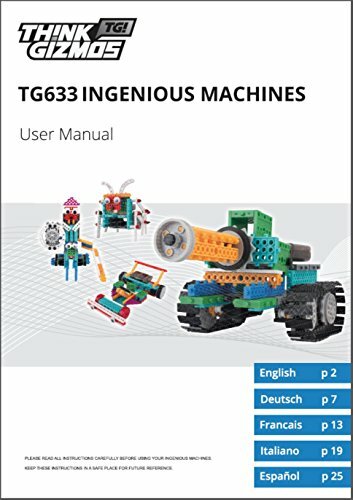 An easy to follow user manual, translated into French, Spanish, German and Italian, is included to enable children to assemble Knight on a horse, Tank, Racing car, or 6 legged bug. 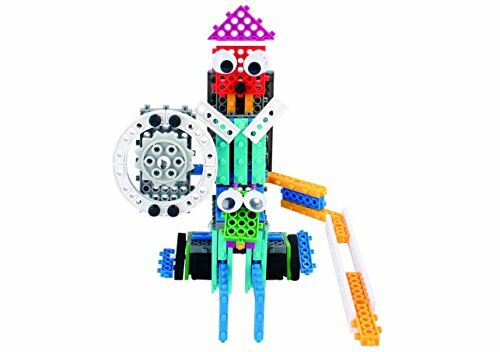 After mastering these, children can attempt to make their own models, adding to the lifespan of this great robot building kit. 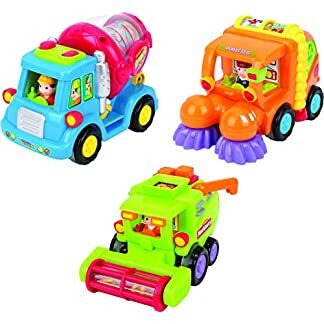 It is a ThinkGizmos branded toys and ThinkGizmos ® is a registered trade mark in the united states. 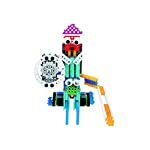 Buy this remote keep an eye on toy building kit and unleash your child’s creativity. Provides kids with confidence in their achievement. 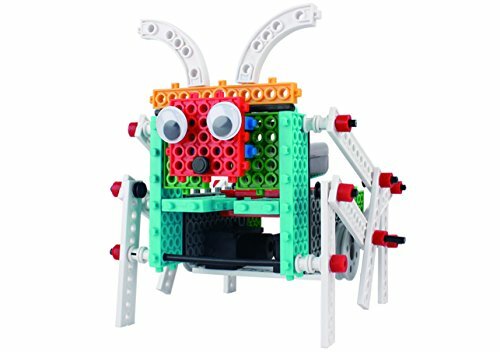 This robot kit for kids contains 237 construction pieces and a remote keep an eye on. Comes with a bundle of fun! After assembling each model, their creation will come to life via the included remote keep an eye on. All parts are made from secure, non-toxic materials: Certified for the Consumer Product Safety Improvement Act (CPSIA) and HR4040. 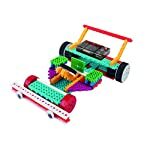 This toy as awesome educational value, improving patience, concentration and cognitive skills. 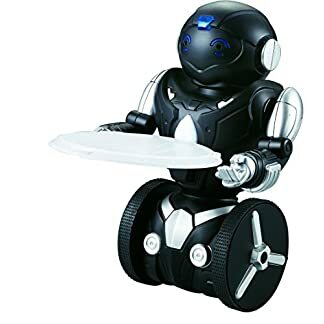 Improves kid’s minds at the same time as they are having fun, makes this one of the most best gifts you’ll be able to give any child.